250.0 kB, 665 x 1000 Pixel. congratulations to the image of the month!! Phantastic shot! it looks like an orange version of the australian sugar glider. Great shot. 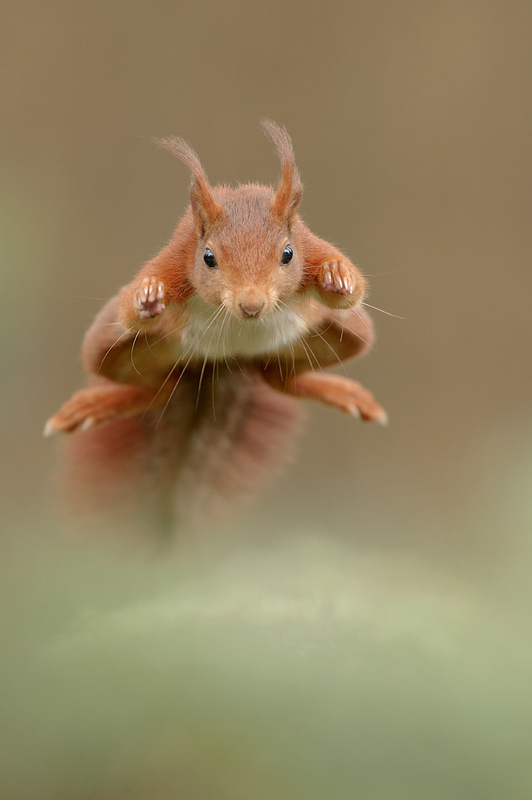 another great picture of your flying squirrel. :) Thanks Georg, much appreciated. I can't help it ... I just have to rename this picture to the "Flying Dutchman". Honestly this is again another example of your mastership in nature photography. wow...du hast ein fliegendes Eichhörnchen erwischt...das finde ich Klasse! this picture is genial !! wonderful shot; superb match within the focussing zone! Ganz großes Kino. Umwerfend ! Na das nenne ich mal Dynamik, da ist Dir ein super Schuss gelungen, Kompliment. Das Bild ist umwerfend gut.